When you see a website security seal on a website it usually means the website you have visited has been verified by a trusted Certificate Authority (CA) and has been given permission to display a website trust seal or website security seal. Trustico® only supplies trust seals and security seals from the world's largest and most trusted independent Certificate Authorities. A website trust seal resides on your webpages to automatically identify your website as genuine and authentic. Where you see one of the following trust seals you know that the website you have visited has been validated by a trusted, independent third party. Website trust seals may also show the website is protected by an SSL Certificate and is free from dangerous malware. 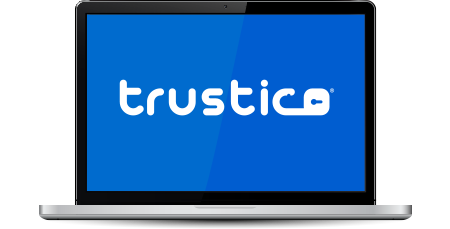 Trustico® products are highly trusted and ensure that sensitive data such as credit card and personal information is protected online. Creating a successful secure web presence should be easy and affordable. Trustico® provides the best quality, most fully featured products and services at comparative prices. As a global innovator of cybersecurity solutions, Comodo® protects critical information across the digital landscape. Comodo® provides complete end-to-end security solutions across the boundary, internal network and endpoint with innovative technologies solving the most advanced malware threats, both known and unknown.